Welcome back. Now convince Jeremy to return! I'm with you...I'm putting Heidi up for sale! Nah, she just needs a new pair of shoes! Lights work awesome on the day old car. Last edited by Braveheart61; 02-11-2018 at 11:05 PM. I got some flickering after installing these. Not while the lights are on, just when the car is on. Anyone else experience that? Yeah that’s what cheap LEDs do. If you want quality ones call The Retrofit Source. Calm down guys, I notice random flickering when the lights are down too for about 1min, small price to pay for the upgrade. I ordered a set of can bus decoders, will update. I'd been meaning to ask if you ordered these when you installed your LED lights -- please do let us know if they solve the flickering issue. Nice, congrats! You will be very happy with the result. I assume these are plug and play? No mention of wiring adjustments. Last edited by Timm; 02-12-2018 at 04:38 AM. Oh you’re talking about they just kinda flash randomly on start up or when the cars running. They’ll always do that, it’s the car running checks on the system to make sure the bulbs aren’t dead. They’re going to do that no matter what LEDs you buy. I jhst need to get mine to stop shaking, even with one rebuilt with maxlumins kit, I need to go back in tbere and see what is loose, maybe the bulbs in spring, after the winter list. Can't wait for winter to be over, about 2 months, then she is my daily driver. 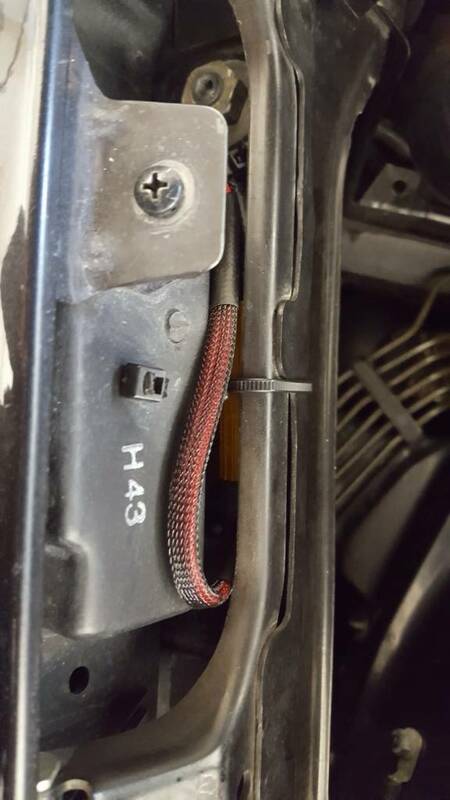 It's the headlight shocks or the reinforcement brackets that connect the light frames to the radiator support are loose. I'm going to have to check into these... my LEDs get HOT!! OK, so after the install I noticed some flickering when the lights are off and occasional low beam failure message on mid. Purchased these resistors and everything works great, except the resistors get very hot so I mounted them on the outside of the bucket on the metal frame behind the light. Last edited by dragon850; 02-18-2018 at 02:39 PM. Timm, where do I find the PTC resistor that you mentioned? Also what do you mean with your polarity comment on post #38? On E31 are we supposed to connect red to red or red to black? There are links in the article to find all the parts used. The polarity change is only for the LED units used in the E64 fogs - their polarity was wrong to start with! I have been doing a little research on the subject and found the GTR Gen 3 Ultra Series to be a highly rated LED. Since I have just started my much anticipated top end refresh, it will be a while before I can try them out and provide any real world feedback. They are a bit pricey at $199 a pair. Retrofitting HIDs into halogen projectors is illegal here in NZ. I wonder if these LEDs would be okay? Certainly some extra light would be welcomed and Tim's inline fuse should solve any bulb check flickering. Might look into this. Deamon Eyes/ headlight conversion from Bavarian Autosport..